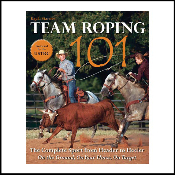 In this handbook, world champion ropers and professional instructors offer advice and valuable tips on coaching students, from groundwork to preparing for and entering competition. Starting with a thorough introduction to the basics--including rope selection, horses, and rider proficiency--this handbook is the official resource to roping from the United States Team Roping Championships. Published in June 2011.